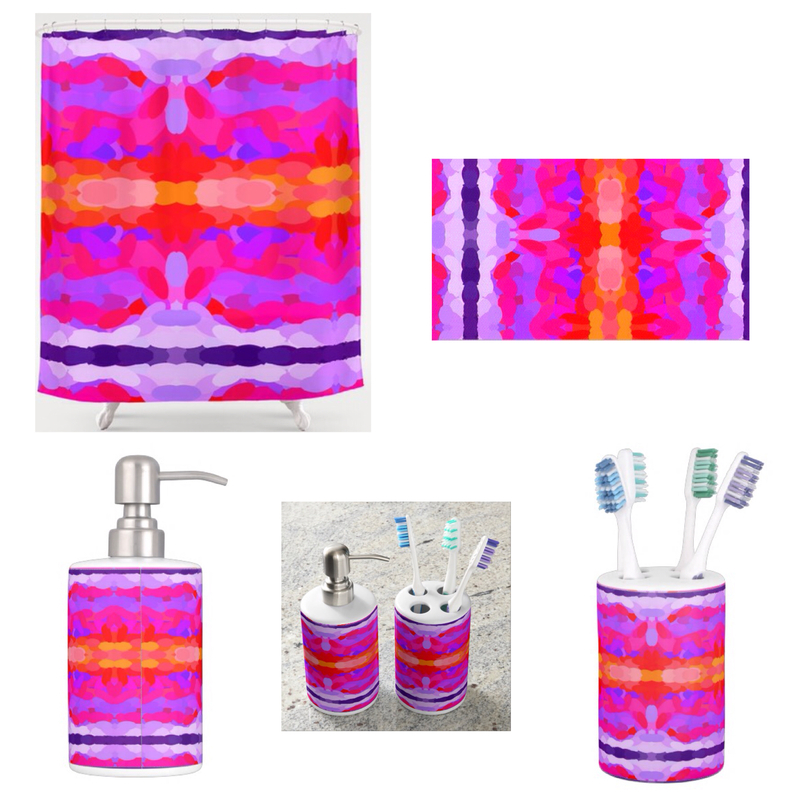 Follow Khoncepts Photo-Graphic Artist's board Shower curtains and bathroom home decor on Pinterest. Picture creatively decorating your bathroom with uniquely artistic shower curtains, toothbrush holders, soap dish dispensers, rugs and yes even window curtains! I miss having a bathroom with a window but I love the way my bathroom looks now decorated with my three favorite colors. Go wild! Treat your eyes to a visual feast of your very favorite colors or patterns each morning before you head to work. Smile as you head home knowing you will soon be entering your own personal paradise of colors and designs. View a few of my Pinterest boards that are updated each time I add new products: including trendy fashions for him, her and baby, dessert cake pops treats, party accessories and more! I love Pinterest widgets. Each widget is visually appealing, easily featuring products from all of my stores for your viewing pleasure.